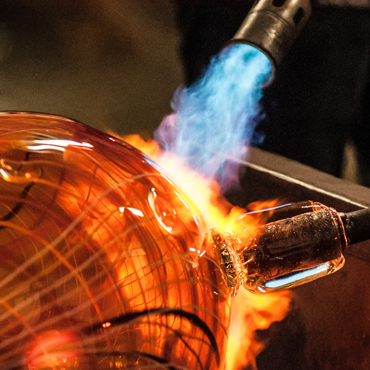 Pittsburgh Glass Center is known as one of the top public access glass art facilities in the world. 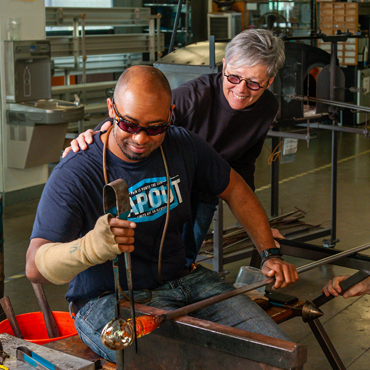 Experienced glass artists from around the world consistently praise PGC for our state-of-the-art studios and talented, accommodating staff. Our visitors and students continue to engage and take classes because they have a great experience with our staff, instructors and studios. We could not do what we do without the support of people like you. Approximately half of our operations are funded through earned revenue, while the other half is made possible through the generosity of donors who believe in our mission and our work. Below are just a few examples of what your support has made possible. 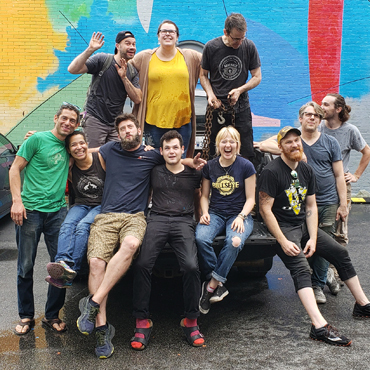 Learn about some of our proudest moments last year, including four glass artists relocating to Pittsburgh, Make-It-now making more money, and Carnegie Museum of Art acquiring five works from Hodge Gallery. Ron Desmett was an artist who eschewed conventions, promoted idea over technique, and ultimately posed the question: "Is this work truly ‘me’?" Through experimentation and innovation, he developed his own autobiography in glass.